The course of the book! This two-day programme equips managers with the knowledge, skills and abilities, as well as the attitude and motivation, to have structured, meaningful and insightful performance-related conversations with their staff. This enjoyable and engaging course is designed for managers who want to know how to interact with their staff in a more constructive, focused and human way. When it comes to managing people, as opposed to things or projects, many managers are reticent to have real, honest conversations. 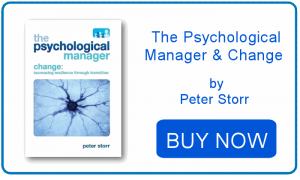 This Programme addresses both the attitude – seeing managing people as an important part of the day- job and skills – the art and science of conversation. Behind any set of skills is the underpinning background knowledge. 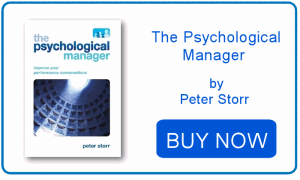 This Programme draws on current psychological theory, research and practice to enable delegates, with focused and targeted practice, to become a Psychological Manager – one who uses knowledge of psychology and how the brain works to make them a manager of more productive, motivated and ultimately happier people. You will get a copy of the book, too!